Above you see one of the most iconic images from the classic Knight Rider. It's of David Hasselhoff sitting on the the hood of KITT on the back lot of Universal Studios. We were on set yesterday the opportunity presented itself to try and recreate a little nostalgia and history of that moment. Below is our updated version with Justin Bruening, it really shows how well the spirit of Michael Knight has been captured. Of course, costar Paul Campbell couldn't let Justin have all the fun and insisted on giving it a shot. We still have a few videos from Sues visit to the set on Friday to post as well as coverage from both Michael and Sue visiting on Tuesday and Wednesday of this week. So be sure to check back, lots of exciting stuff to share on the way to the relaunch. 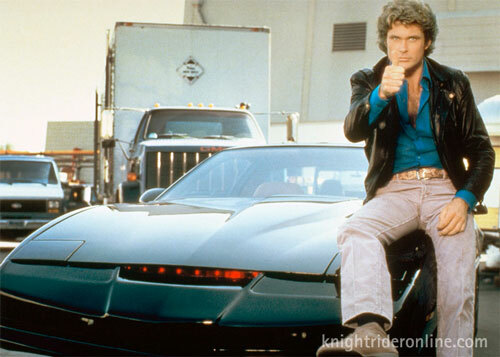 I've now changed my site name on facebook to the KNIGHT RIDER 2008 SEASON 2 & 3 FAN FICTION WORKSHOP. & this is the link to the first story G.O.L.I.A.T.H., as stated in my previous comment above. https://www.facebook.com/me... If you can't access this story, then please send a request to join my site. Here's the link to the site. https://www.facebook.com/gr... Hope to see all you Knight Rider fans there. NBC & UNIVERSAL may have killed the show, but we the fans have done our best to try & keep it alive. i love it i want more now ? 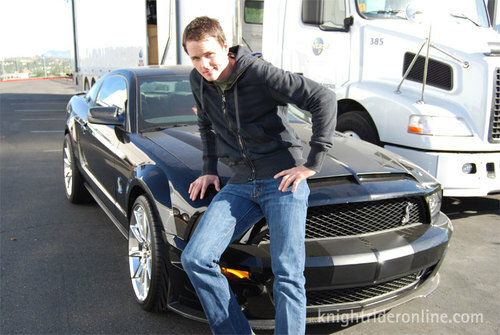 I love David Hasselfoff he is very-very cool man.And I love KITT 2000!!! 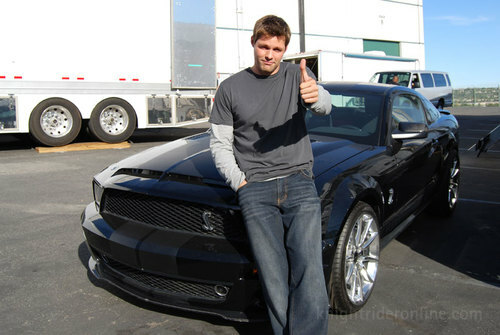 knight rider 2008 is great they should make one with the same car and actors. I am a young Colombian with 12 years of age and the series is the best qe seen in my life I would one day just to see the forum. I Love The TV Show!!! it a cool tv show!!! !